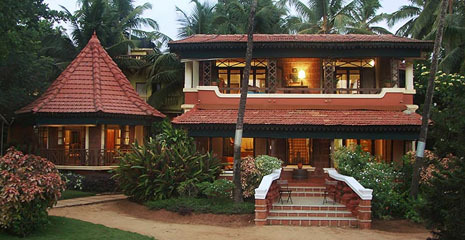 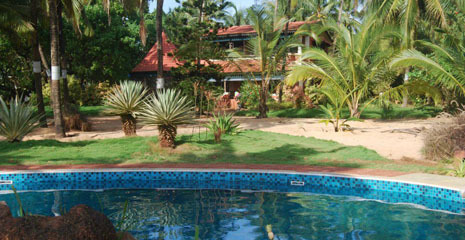 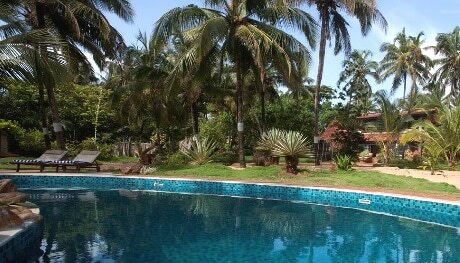 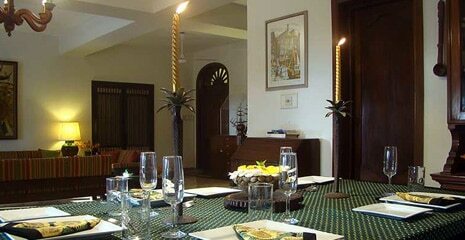 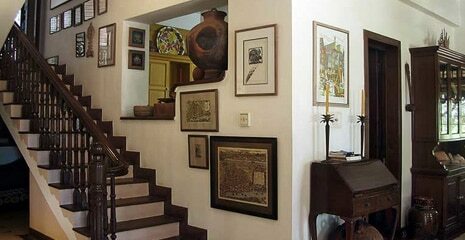 A charming villa a few metres from Candolim beach. 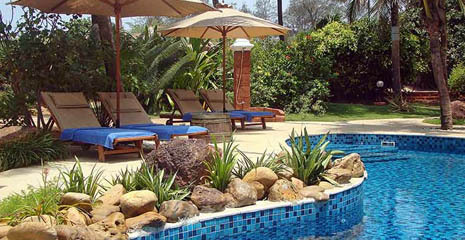 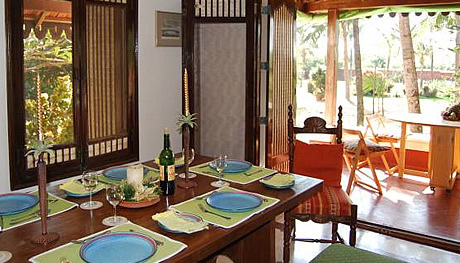 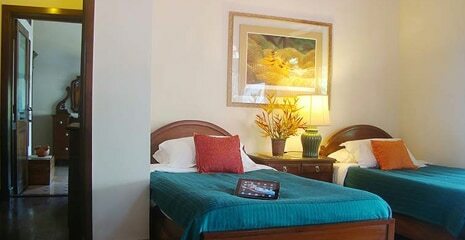 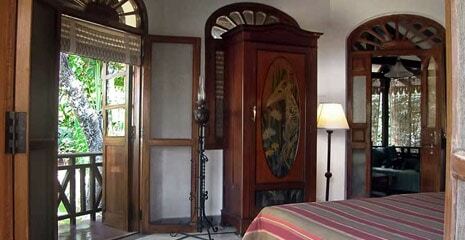 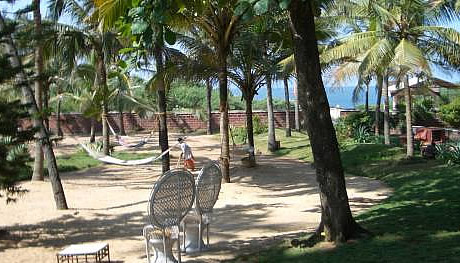 The property is set in a 1.5 acre property shaded by swaying coconut trees. 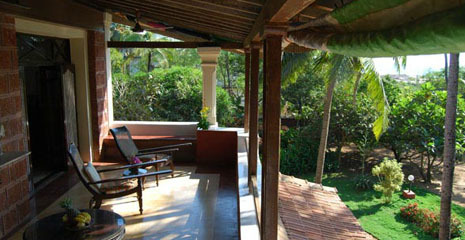 Once inside the large wooden gates that seem to keep away obtrusive time, you are in a beach lover’s haven. 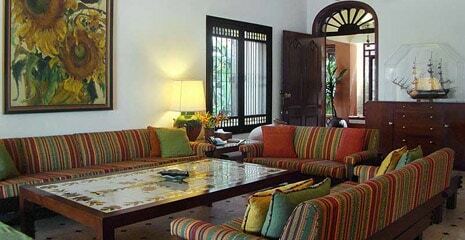 White sands under your toes, swaying palm trees and tropical flowers greet you even before you have settled into the cosy villa with its wide skirting verandahs, louvered windows and a rich collection of paintings and artefacts. 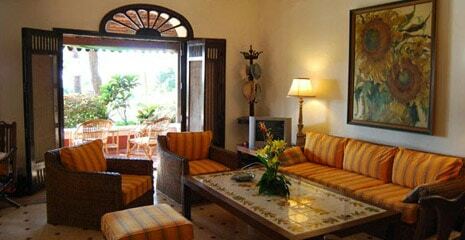 The villa is a delightful blend of style and character. 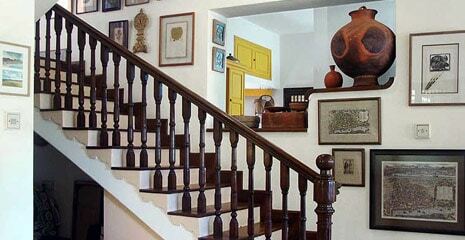 A wooden staircase leads to the master en-suite bedroom and a twin en-suite bedroom. 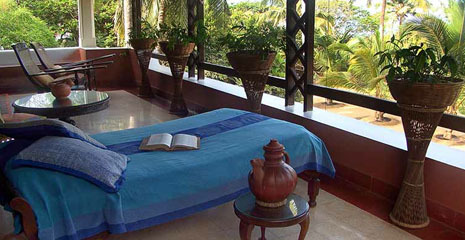 On the outside the bedrooms are connected by a wide wooden verandah overlooking the swimming pool and the Arabian sea beyond. 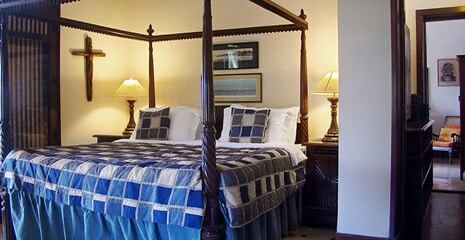 There are 2 bedrooms in the main house and 1 bedroom in a separate suite 10 metres from the main house. 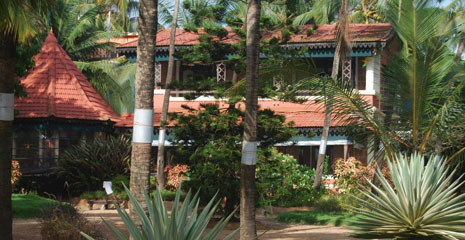 The villa is home to three friendly dogs. 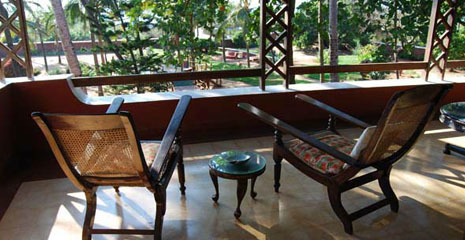 A wonderfully breezy space for afternoon siestas under slow fans or evening cocktails as the sun sets. 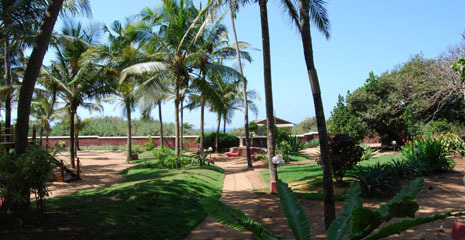 The villa has private beach access to Candolim beach and a wide choice of beach activities a few metres away from the villa.